Foreign Bank Accounts (and More) in the "New Switzerland"
The last five years has seen a rush of foreign bankers to the island city-state of Singapore. Swiss banks, such as Julius Baer, have expanded their operations to capitalize on new business opportunities there. And earlier this year, the world’s number-three commodities trader, Trafigura, shifted its trading center from Switzerland to Singapore. Just a few steamy miles north of the Equator, close to Malaysia, this small republic (population 5.4 million) has slowly established itself as Asia’s newest private-banking hub by luring the super-wealthy. In 2005, Singapore began adopting laws patterned after Switzerland’s. Laws that tightened its bank secrecy. But unlike land-locked Switzerland, Singapore sits at the center of Asia’s booming demand for raw materials, close to many key physical markets. It also beats Switzerland on taxes. Official corporate tax rates in Singapore have fallen by 3% to 17% over the past five years but held steady at just above 21% in Switzerland. The New York Times’ description of Singapore as “Asia’s answer to Geneva and Zurich” fits the bill. And just like those Swiss cities, Singapore is a nice place to live. It’s a modern city, as I found out when I visited. High-tech industry has replaced rickshaws. But ancient traditions, from feng shui to ancestor worship, are still honored. It’s the most livable city in Asia, according to financial consultant Mercer’s Quality of Living Survey. And international contrarian investment guru Jim Rogers, whom I met there, agrees. He moved his wife and two daughters there a few years ago and they love it. 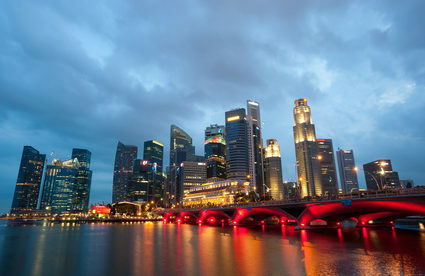 A series of reforms in the wake of the 1997-98 Asian financial crises transformed Singapore into what is now one of the world’s pre-eminent platforms for business growth. It is a tax-friendly environment, a global center for private banking and offshore finance, and an ideal base for second residence, naturalization, and even eventual citizenship. And the country’s trust laws are as good as those you can find in any traditional offshore trust jurisdiction, such as Panama or the Channel Islands. When Singapore, along with Switzerland, finally agreed after much OECD pressure to adopt tax-information exchange under Article 26, it was from a much stronger privacy basis than most countries. They did it by renegotiating existing individual double tax treaties, not with any blanket policy adoption—an unusual procedure that permitted tough negotiating and ruled out fishing expeditions, required showing evidence of actual tax evasion and allowing account holders to be notified and appeals allowed. The number of private banks operating in Singapore has more than doubled in recent years. The Singapore Monetary Authority estimates that assets held by banks in Singapore have grown by 20% each year since 2000, to nearly US$700 billion in 2012. Singapore’s Oversea-Chinese Banking Corp. retained the 2012 title of the world’s financially strongest bank for the second year. Two other Singaporean lenders, United Overseas Bank Ltd. (UOB) and DBS Group Holdings (DBS), were also among the 10 strongest. Singapore enjoys one of the world’s strongest currencies, the Singapore dollar, backed by one of the world’s largest currency reserves. There is low government debt, strong protections for investors, and many listed public companies that are industrial leaders in fields ranging from shipping and ports to oilfield services and water desalination. The government is also allowing foreigners, especially Europeans, who meet its wealth requirements to buy land and become permanent residents. 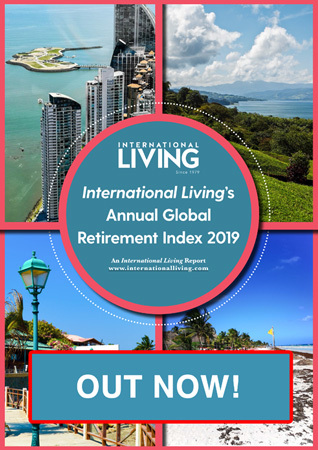 The goal is to attract private wealth from across Asia, as well as riches that Europeans and other Westerners are moving out of Switzerland and EU nations to avoid new tax and reporting laws there. Singapore offers a foreign investors’ citizenship program called the “Scheme for Entrepreneurs.” It was designed mainly for wealthy residents of Hong Kong who wished to secure a place for themselves and their families in a similar, bustling economic environment before Communist China’s takeover in 1997. Various organizations have listed Singapore as the world’s most open, most liberal economy… number two for the best investment potential… and first in Asia and fourth in the world for the lowest level of economic corruption. Singapore makes perfect sense as a destination for those seeking a new home for themselves or their wealth. The money flowing to it from the U.S., Europe, and Asia demonstrates perfectly how one little nation, in the borderless world of finance, can become a roaring success with sensible free-market policies and an open-door attitude.